Check into one of Italy’s oldest and best-preserved estates to experience Tuscany at its finest, and enjoy beauty that inspired the strokes of many artists. Tuscany is popular among tourists for its landscapes, artistic heritage and tradition. Regarded as the birthplace of the Renaissance, this part of Italy has been home to many influential people in art and science. The Val d’Orcia region specifically inspired several artists and was captured in many iconic landscape paintings. Those paintings are believed to have profoundly influenced landscape art and for that reason this area was deemed a World Heritage Site by UNESCO in 2004. In the heart of Val d’Orcia is Castiglion del Bosco, an Italian resort set within one of the oldest and best-preserved estates in Italy. 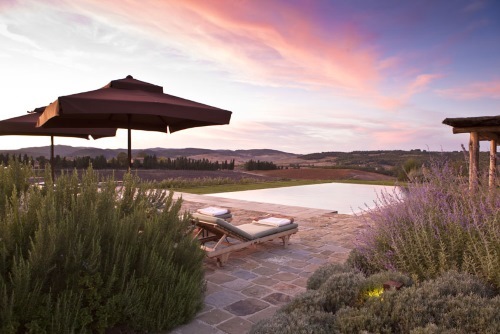 Managed by Rosewood, Castiglion del Bosco is located in Montalcino, Tuscany. The 800-year-old estate comprises the ruins of a castle, a medieval church, and the Borgo, a village that was once an important farming and social hub. The Borgo is now the heart of the resort, with 23 suites housed within its buildings. There are also 10 villas that have been created from restored farmhouses, and feature antique furniture, artisanal pieces and modern comforts. Castiglion del Bosco is deeply rooted in the Tuscan way of life, and gives people a chance to experience this unique style of life. The estate is also home to a historic winery and is the fifth largest producer of Brunello di Montalcino, which is counted among the most prestigious of Italian wines. 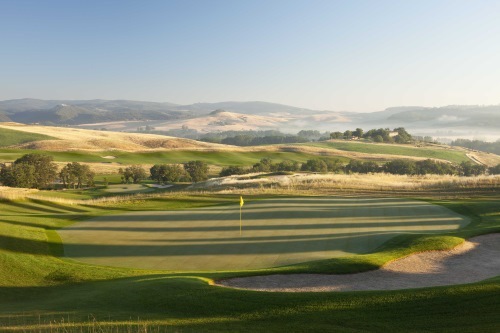 Italy’s only private golf club is also within Castiglion del Bosco. The estate’s incredible 18-hole golf course was designed by the legendary winner of the British Open, Tom Weiskopf. Set within a UNESCO World Heritage Site, this golf course offers an unparalleled playing experience. 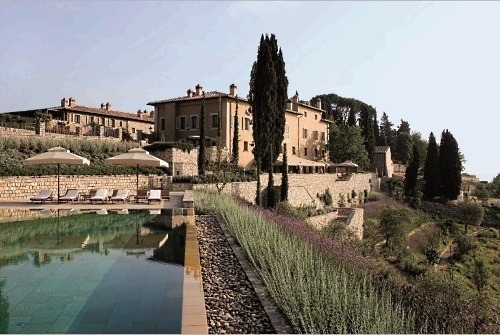 Guests of Rosewood Castiglion del Bosco can also try a class at their cooking school, or shop at their carefully curated store, or unwind at the spa, swim in their infinity pool and workout at the fitness centre. There are two restaurants here: the rustic Osteria La Canonica and the understated Ristorante Campo del Drago which offers classic Tuscan and Italian cooking. The estate has its own organic kitchen garden. April and May are among the best times to visit Tuscany. 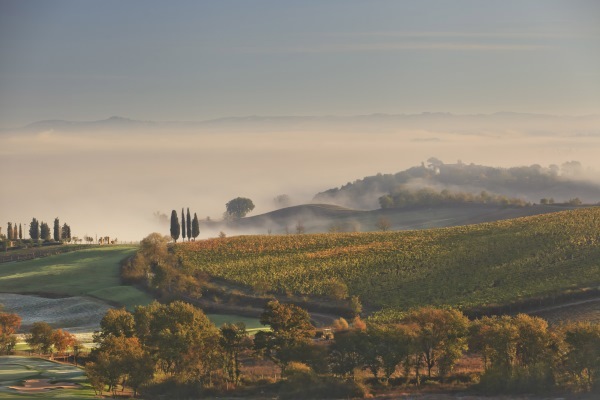 Book your stay at Castiglion del Bosco to enjoy Italian wines, food, history, and scenic locales that will make your photographs as charming and beautiful as the Renaissance paintings! Tagged LifeSpice, Luxurious lifestyles, Luxury hotels, Luxury Travel, The Good Life. Bookmark the permalink.